Delightfully quirky, the Ceramic Little Creature Flower Pot with Feet is a one of a kind ceramic container that will stand out in your home. 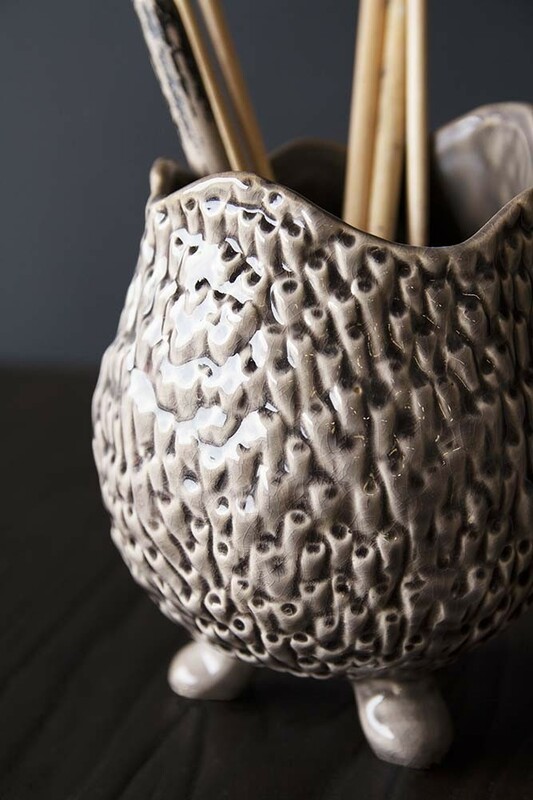 A rather lovely home accessory, the cute & quirky creature vase features a grey glazed ceramic finish with textured driftwood effect or almost coral effect detailing and is raised by three little feet. The flower pot holder has a wavy and uneven rim which only adds to the uniqueness of this display piece. 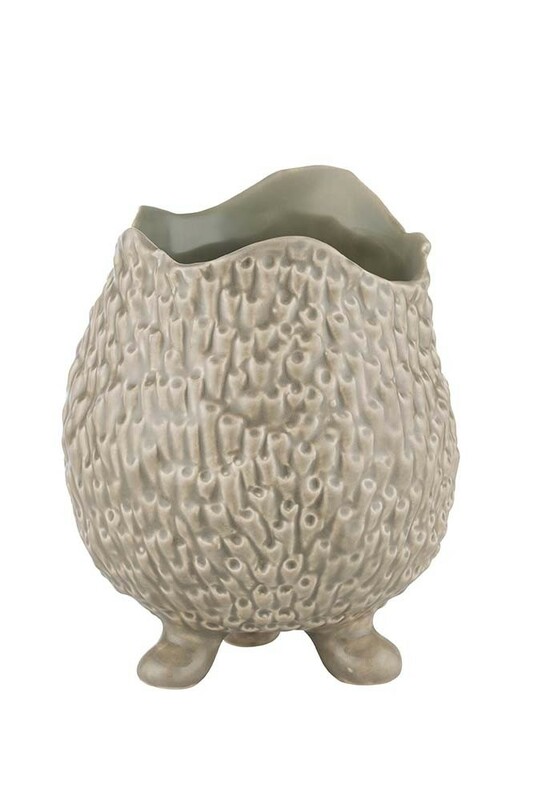 This little quirky creature ceramic vase with feet measures approximately 16cm high by 13cm wide. Now, the best thing about this wonderfully eclectic creature vase is that it’s multi-functional. Use it as a flower vase for your favourite blooms and greenery. 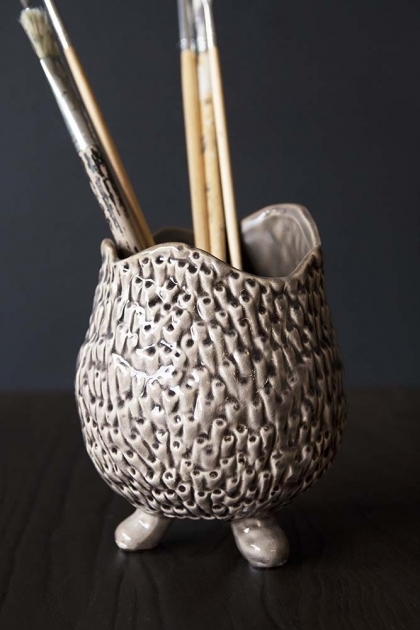 Or, alternatively use it as a pot holder for your art supplies, make-up brushes, cutlery, pens and pencils or your knick knacks! If you are green fingered you could even fill the quirky flower pot with soil and plant your favourite flowers. It’s a fun activity for you and the kids to do on a rainy day, plus it adds sentimental value to the vase. Even better, this totally original Quirky Little Creature Ceramic Flower Pot On Feet would make a great gift for that special friend or relative who loves out of the ordinary pieces. So, why not surprise and delight that special someone with something a little bit different for their birthdays, Christmas, anniversaries or just as a little token to show how much you love them? It’s guaranteed to make them smile and there’s nothing better than that! With all that said, if you need a little help creating a home that is uniquely personal then check out our blogs: The Art of Display, Top 10 Tips To Shake Things Up At Home and Using Everyday Objects in Different Ways for interior inspiration. Our blog is filled with useful tips to make your home a space where you can express your individuality and be creative. So, check it out! 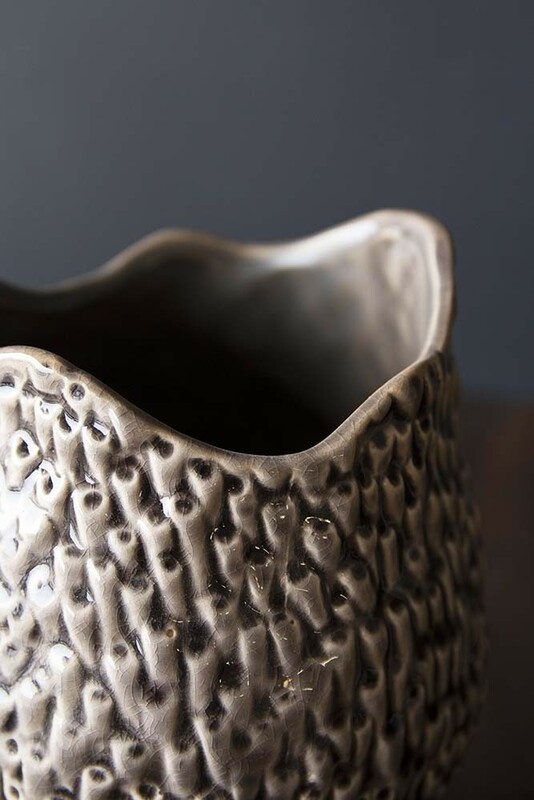 Okay, okay, okay, we’ll stop talking about how much we love this little creature vase now! But we hope we’ve shown you how wonderful this unique planter is. As we’ve mentioned before it’s the little things like the Quirky Little Creature Ceramic Flower Pot On Feet collected over the years that makes your home so personal. So, take your time and treasure hunt for pieces that you will fall in love with over and over again. We promise that if you do this, you will create timeless interiors that you love.